There isn’t much in this world that is still considered ‘free,’ but for the time being the life giving, room brightening powers of the sun is still just that. And if you could harness that power and use it to a greater capacity inside your home, not only would your home be happier, but so would your mood and monthly electricity bill. 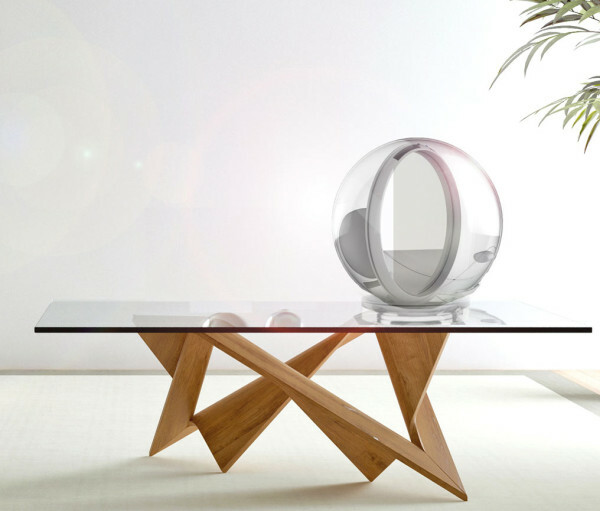 Lucy is a unique mirrored sphere that tracks the sun with intelligent sensors, spreading light onto the darkest corners of your room no matter what time of day it is. It does this by placing its mirror in the perfect position to collect the sunlight and then projects those rays wherever you need them most- like a lamp, except hundreds of times better since there is nothing artificial or simulated about it. All you need is a sunny spot in front of a window and Lucy will take care of the rest. You don’t even need an outlet nearby, as Lucy collects enough solar power during the day to keep herself powered up. And it’s also a pretty interesting piece of decor from an artistic standpoint. Okay, so it isn’t completely free… but its price is probably less than you think.